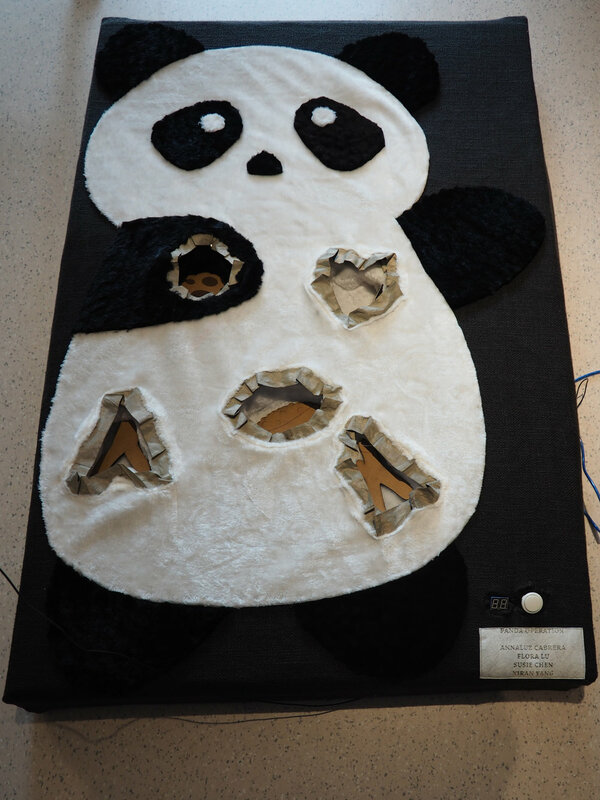 Panda Operations is an interactive game made of fabric and Arduino. 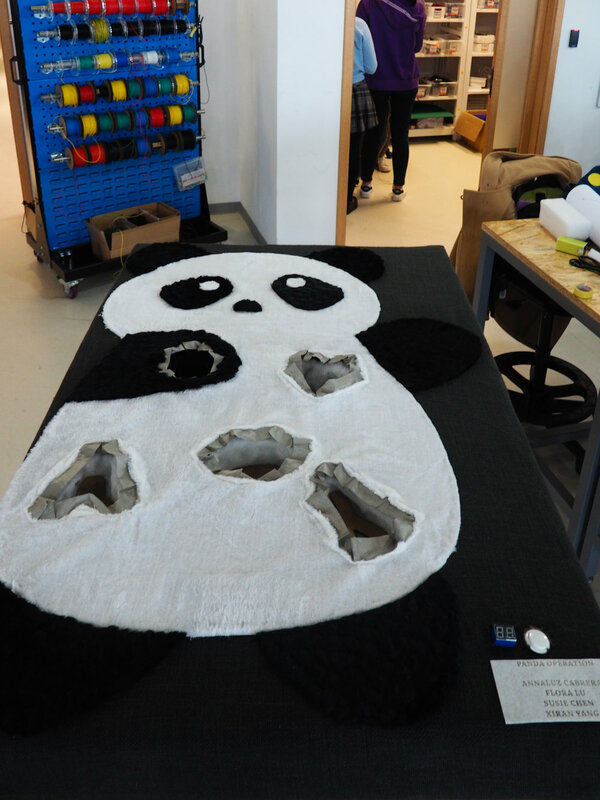 It requires the gamer to pick up different bones in the holes on the panda without touching the holes’ edges. 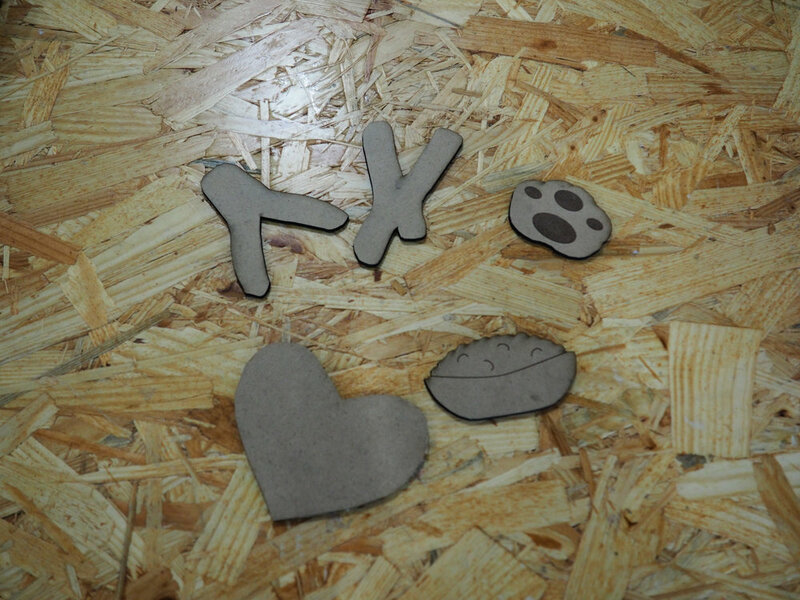 The edges are made of conductive fabric; and the tool a gamer will use to pick us the bones is a pair of metal chopsticks. 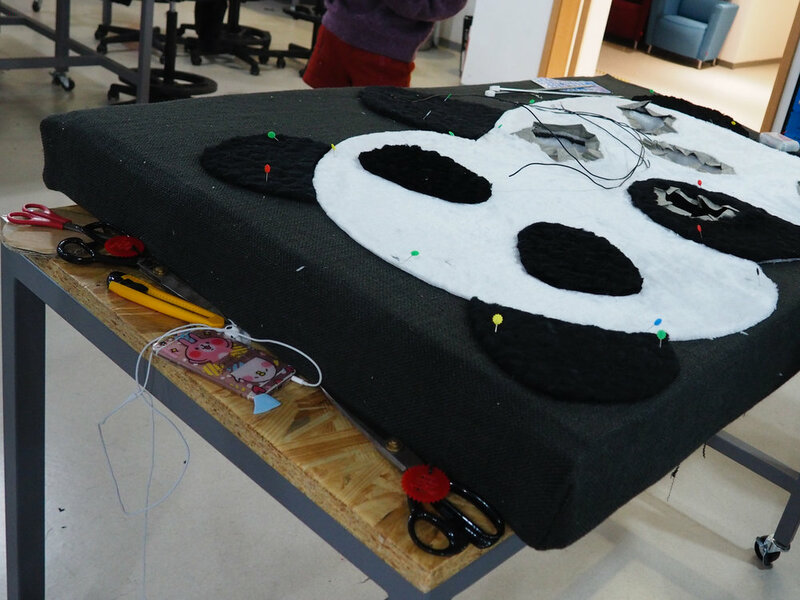 The conductive fabric is connected to the digital pins on an Arduino board using snaps. While the metal chopsticks are connected to ground. When the chopsticks touch the edges, a signal would be sent to the Arduino, and the code written will trigger an mp3 player to play audio files notifying the player that the game is over. The game is designed for both children and adults, therefore a cute panda is chosen to make the game more inviting. The fluffy fabric which makes the panda is aimed at creating a more intimate and comfortable user experience. By using fabric as the major material and connecting the fabric to the electronics using snaps, users are able to wash and clean the game.